Speaking to CMO during a visit to Sydney for the ecommerce technology vendor’s annual conference, Lavelle agreed digital transformation has completely disrupted the retail landscape and left many organisations “terrified” of how they compete. And the carnage is very real: You only have to look at the number of US and Australian bricks-and-mortar retailers that have fallen into administration or slashing store numbers to see how disrupted retail has become. Yet omnichannel retailing is a completely realistic and sustainable concept for those looking to retain a relevant place with consumers, Lavelle said. The problem is less one of technological capacity, and more of culture, he claimed. “It’s long been the case that it’s doable to have a single view of inventory, and the ability for customers to know what’s in the store versus website. Many companies have this technology now,” Lavelle said. “What’s missing, when you talk about digital transformation at the retail level, is the cultural change. It’s about understanding the customer is demanding a digital experience. The power they have in their hands means they’re one click away from getting what they want from a number of sources, even if they’re standing in your store. In addition, while companies like Uber, Amazon and Airbnb have clearly redefined whole industries, Lavelle said fostering distinct brand identity and providing experience and services that go beyond the products on their shelves will go a long way to winning over modern customers. “Underneath it all, these businesses have a great brand identity, with personality and something to offer beyond the commodity item, that consumers want to attach to,” he said. “Expressing your brand digitally, then having the ability for the consumer to get the item in a variety of ways conveniently, can also be broken down into fairly simple steps as a retailer. Another major element is harnessing the power of in-store staff to market and build engagement with you brand. As an example, Lavelle pointed to US company, Zumiez, a skater retailer positioning its store agents as part of the brand proposition and personality. “These agents are great personalities kids want to come in and see,” he said. “When someone buys something online that’s in the zip code or area of a physical store, the agent in the store will fulfil that item and put a handwritten note in, saying ‘hey man, cool sneakers, why don’t you come and check out some other things’. Amazon can’t do that. Lavelle also noted the ability to have agents posting on social media, helping further foster brand connection. This employee advocacy was a technique UK department store, John Lewis, recently adopted when launching its Christmas 2018 campaign, giving staff the ability to post the TVC ad on social media hours before debuting on national TV. While agreeing the rate at which tech innovation and consumer expectations continues to accelerate can feel "terrifying”, Lavelle was again quick to claim meeting this challenge isn’t impossible. “It can be as simple as the speed of a website, or consistency of brand experiences in a social platform versus when you walk into retail store, or extent to which consumers expect content is personalised to them, or if brand is viewed negatively if it’s not localised,” he continued. “The world is getting smaller from a consumer standpoint; they’re very much in charge, and technology is still in the hype cycle where formats are changing as to where customers are spending their time. They’re increasingly digital and mobile, and as we move forward… it’s even interacting with sensors in a room or voice. That’s exactly how Magento is trying to position itself as its undergoes its own transformation. The technology vendor was acquired by digital marketing and creative player, Adobe, for US$1.6 billion last May in a deal that provides scale for Magento globally, while filling the ecommerce gap that existed in Adobe’s enterprise technology portfolio. Lavelle, who has been with Magento since it spun out of eBay two-and-a-half years ago, put the acquisition down to the vendor’s flexible and open platform, global ecosystem of 350,000 developers and hundreds of partners. Over this time, Magento has also expanded capabilities to include business intelligence and order management. “When a brand connects with a customer through a piece of creative – advertisement, campaign or email – the point is to move that customer to a relationship where a customer buys, signs up or subscribes,” Lavelle commented. “What Magento is great at is completing that journey. With Adobe, we can now have a platform that’s end-to-end, that allows marketing and merchandisers and businesses to create great experienced end-to-end. To date, the two companies have been focused on product and company integration. 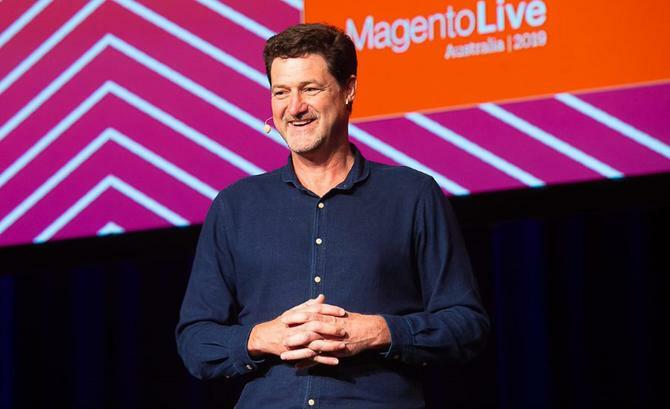 The first step was making sure Adobe Experience Cloud (AEC) customers could access Magento in an easy, native fashion, Lavelle said, a milestone achieved in November when it announced ‘experience-driven commerce’. Lavelle said the organisation is now looking at how to make Adobe products available to the Magento client base. “The third priority is how to take data we both have and infuse machine learning and AI across all the platforms in a way that makes automation and data intelligence accessible to all clients,” he said. Alongside product integrations, Lavelle said another priority in the next 12-24 months is progressive Web apps, a step aimed at solving the native app versus mobile app challenge. Another key innovation is voice-based commerce. Lavelle said the team is working with Amazon and Google on how both catalogue sources of products in order to connect Magento and make it accessible via Alexa, for example. Lavelle agreed voice presents yet another disruptive challenge for retailers in keeping customers engaged. “A consumer can just ask for the soap they got last month. And there’s opportunity for new brands to supplant the brand that consumer bought last month,” he admitted.